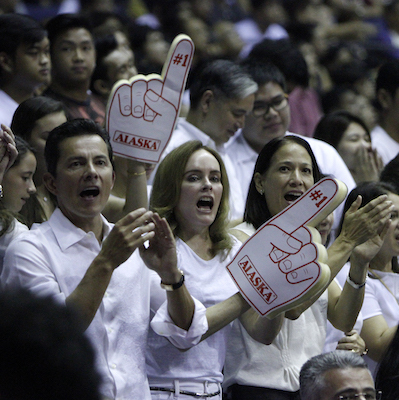 Alaska fans are on the verge of ecstasy after going up 3-0 in the 2015-2016 PHL Cup Finals. San Miguel Beer had a golden chance to steal Game 3 of the 2015-2016 PBA Philippine Cup Finals, but the Alaska Aces continued to prove they were more potent in crunch time. Back-up guard RJ Jazul came up huge in the endgame, scoring big back-to-back baskets to help his team seal the deal and move within a win of their first Philippine Cup since year 2000. The Alaska Aces took a commanding 3-0 lead, coming to within a single win of the SMART BRO PBA Philippine Cup, after defeating San Miguel, 82-75, in Game 3 on Friday at the Quezon Convention Center in Lucena City, Quezon. Vic Manuel, who has been stellar in the championship series, once again led Alaska with a team-high 17 points and seven boards while his frontcourt partner, Calvin Abueva, chipped in with 13 markers. The Aces, which entered the fourth quarter trailing, outscored the Beermen, 27-17, to clinch the victory. SMB, still playing without injured star center June Mar Fajardo, the reigning back-to-back PBA MVP, was led by back-up big man JR Reyes with 13 points. 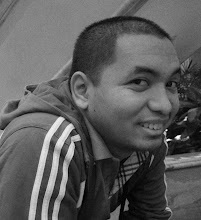 Ronald Tubid was the only other Beerman in double-figures with 10. Reyes, however, was thrown out with a Flagrant Foul 2 in the final frame after swinging an elbow that hit Vic Manuel’s head. Much ballyhooed stars Alex Cabagnot, Marcio Lassiter, and Arwind Santos combined to score only 26 points on 9/30 FG shooting. Alaska can win their first Philippine Cup title in 16 years at the historic Philsports Arena/Ultra on Sunday, January 24, 2016.